A history of the accordion in jazz would be a slight volume. The accordion sits midway between horn and keyboard, and perhaps it's a surprise given its versatility that it doesn't have a higher profile. Klezmer influenced companies apart, the rollcall at the exploratory end of the spectrum would include Anthony Braxton (of course), The Claudia Quintet, and Gato Libre, but not too much else. 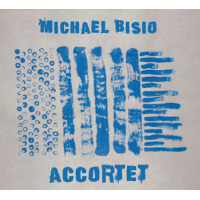 To that roster must now be added Michael Bisio's Accortet. The bassist's outfit investigates the inside outside dichotomy through nine original compositions with an adventurous but melodic bent. Some of the pieces are old favorites, revisited on several previous occasions. Among those is the opener "AM," dedicated to Bisio's son, which sets out the group's stall with an infectious lilt. 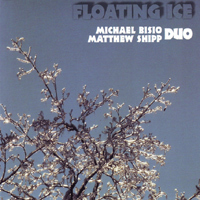 Though there are hints of the freeform escapades which Bisio enjoys with pianist Matthew Shipp, most conspicuously on the coda to "Giant Chase," but also elsewhere, the band never truly let go. Bisio takes a prominent role, guiding and directing the ensemble from behind his bass, and laying down sturdy contrapuntal commentary. His speech like inflections are noteworthy during his wiry fast fingered solo passage on "Henry's Theme" and also in his lyric intro to the attractive mid tempo ballad "I Want To Do To You What Spring Does To Cherry Trees." On accordion, Art Bailey moves beyond the typical mid-European flavors to angular staccato figures and off kilter comping, most notably during a lengthy duet on "Livin' Large (A&D)" with drummer Michael Wimberly's rolling cadences. Cornetist Kirk Knuffke's downbeat lyricism, expressive slurs and half valve effects confirm him as an inspired choice for this style. He demonstrates a strong bond with the leader, through their combination of breathy cornet and taut unsentimental bass on the dirge-like "Henry's Theme," and an artful double act on the closing "Livin' Large (C&B)." Among the other highpoints are the fourway interplay of "Times That Bond" and the slow burning propulsion of "Sun Mystery Ra History," where Knuffke and Bailey combine for a memorable impact. 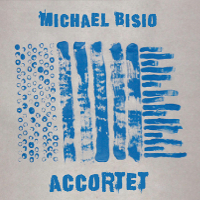 Perhaps Bisio is onto something, and as a consequence the accordion might benefit from rather more attention in the genre in the future. Track Listing: AM; Henry’s Theme; Giant Chase; Times That Bond; I Want To Do To You What Spring Does To Cherry Trees; Livin’ Large (A&D); Charles Too ! ; Sun Mystery Ra History; Livin’ Large (C&B). Personnel: Kirk Knuffke: cornet; Art Bailey: accordion; Michael Bisio: bass; Michael Wimberly: drums.